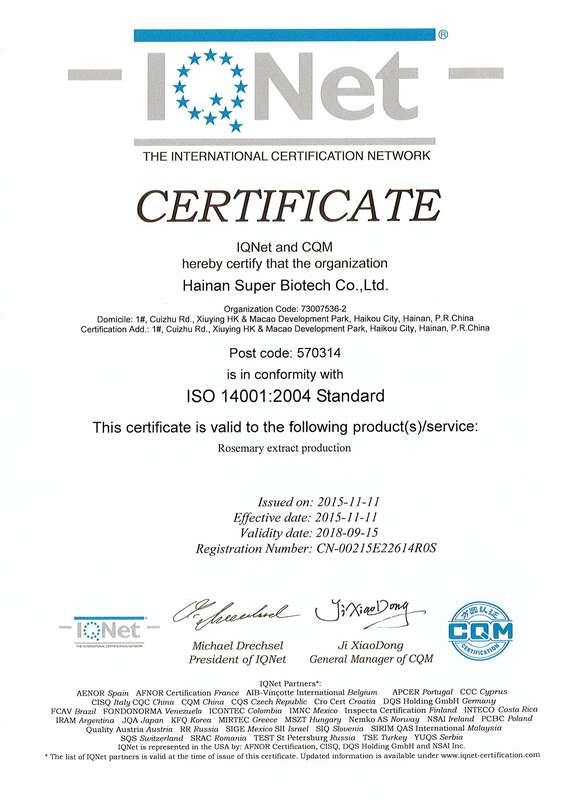 Super-Bio was successfully authorized by ISO14001 Environment Management System Certificate, revised by China Certification Center for Quality Mark on 11 Nov, 2016. I. Decrease the consumption of energy and material, save costs and reduce pollution. 1. To save energy by technology reformation: adopt new technology to improve and massively enhance availability of raw materials. 2. To save energy by equipment alternation: the less waste and pollutants are discharged, the less waste disposal cost. 3. To enhance energy and resource management: Find problems and make implementary measures through rational analysis on major energy-consuming facilities. II. To raise management level, enhance competitiveness. 2. Environment auditing helps find out and predict where problems lie to take measures. 4. To receive support by banks more easily. 3. Environment improvement attracts high-qualified employees for better recruitment. 4. To decrease risks of lawsuits. IV. To improve market competitiveness of the company by improving company’s image as well as market share, ameliorating environmental performance of products, promoting technology, saving energy and costs.